It's been a massive week for us, yet again...! 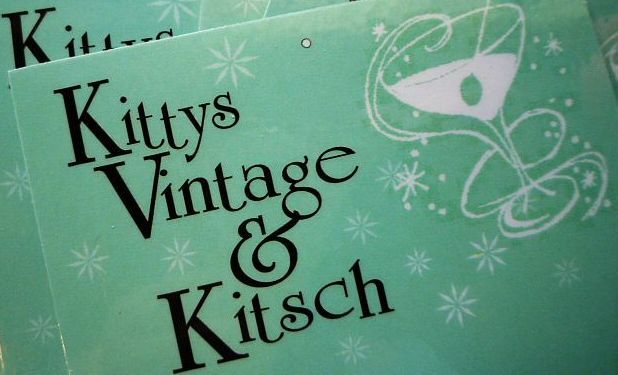 We've just finished a huge vintage fashion fair, our last big one for the year. You may have noticed I've been MIA from the blogging world this past week, as usual these sorts of events just make life get in the way. New SHAZZAM!! 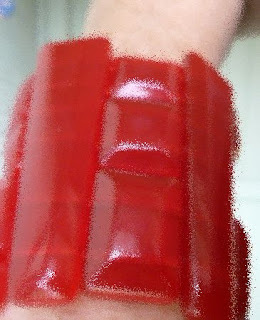 vintage superhero red lucite cuffs, however, are currently on high rotation, and proving most convenient for all sorts of outfits. It seems I was meant to be a vintage superhero; I bought one at a market two weeks ago, then found another just four days later for pennies...serendipity methinks. 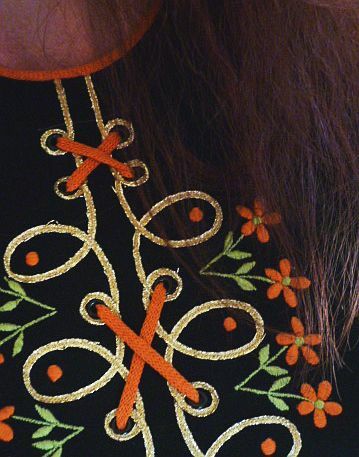 Wondering if they'll bring me more and better vintage treasures if I keep wearing them every day, LOL! I hope you've all had a good week, I'll be back visiting you all soon.x. THOUGHT OF THE DAY: Can those bloggers who don't currently have a search box on their blog, PLEASE ADD ONE, pretty please just for me?! 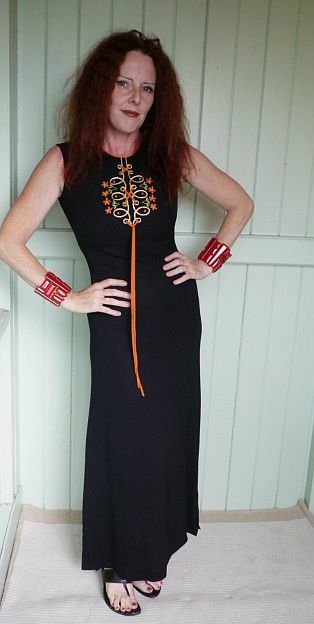 Holey doley women that dress is hot on you, high neck or not, Wowzers I love it. Those cuffs are rather fabolous and without a doubt they are giving you powers. It's always great to have pieces that transcend different styles of outfits. I bet you are a blast to hang out with at these shows....you look amazing in this dress, I'm starting my third week of boot camp....I want to look as good, but boy is it hard work...I just dream of new clothes as he's yelling...smile! You're a rock star baby!! Jaysus,Kitty,you're sexing it right on up and making me have palpitations!!! Fab frockage,shame to neckline is too high-sometimes I can wear 'em,but most often not! My gosh women you look fabulous! I adore your super hero cuffs!! NEVER GET RID OF THOSE. That dress looks pretty damned good on you. You look so thin and stylish, my dear Kitty. Your gorgeousness has been missed- I figured you were busy. Can't wait to see some more of your bangles and maxi, and ginger goddess hair!